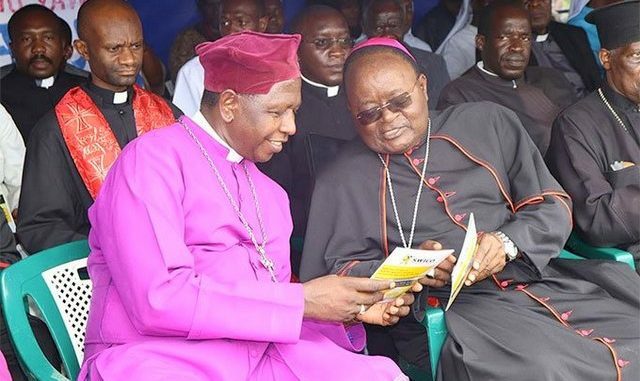 The Archbishop of Kampala Archdiocese Dr Cyprian Kizito Lwanga has downplayed reports that he is plotting to overthrow President Yoweri Museveni. 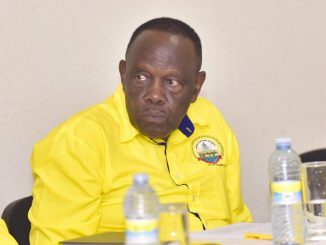 Dr Lwanga’s comments were in reference to a phone call he reportedly received from an anonymous person indicating that the state had received information linking him to a plot to overthrow the government. 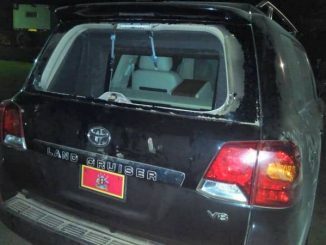 The caller reportedly told him that government had recruited informants within the church set up, who had given information to the president on the alleged plot. Lwanga said a lot of misleading information is being passed to the president by politicians, businessmen, civil servants, police officers, Internal Security Organization and the Chieftaincy of Military Intelligence (CMI) among others. Lwanga was speaking to a congregation at Old Kampala playground where hundreds converged for holy mass, after taking part in the ecumenical public way of the cross, an annual procession held in the simulation of the journey of Jesus to the place of his crucifixion. Lwanga said the anonymous caller warned him to be careful, saying he might be the next Janan Luwum, the former Archbishop of Church of Uganda, who was killed by government operatives on February 16, 1977. “Even this man [anonymous caller] told me last week that be careful my grace, you might be the next [Jana] Luwum. I said my goodness, if God wants me to die that way, I will. But if I am going to die for wrong accusations, that is criminal. You know for murdering people there are two things; you can shoot a person over what they call character assassination. So some members of ESO, ISO, CMI etcetera, they are character assassinating people and that is not good. 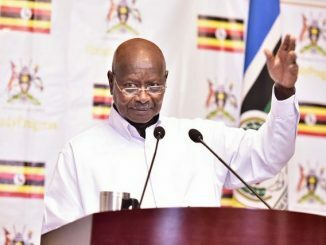 But fortunately, those of you who are believers, there is still in a period of lent which are concluding tomorrow…I kindly call upon you to repent and stop telling lies,” Lwanga pleaded. Lwanga, who expressed shock at claims that he wants to overthrow government appealed to the informants to stop telling the president lies. The Archbishop, who described the misleading information as unfortunate and terrible, told Museveni that he was recruiting wrong people as informants. Lwanga said some of the informants were dismissed from the Church and now shine as saints before the president. Lwanga, who also doubles as the chairperson of Uganda Joint Christian Council (UJCC), told the recruited clergy that they cannot serve in the church and security. Today’s joint prayers were held under the theme “courage, the Lord is our strength and guide.” They were attended by the Archbishop Church of Uganda Stanley Ntagali, Bishop Hannington Mutebi of Kampala Diocese and Father Emmanuel Ssekyewa of the Orthodox Church among others.